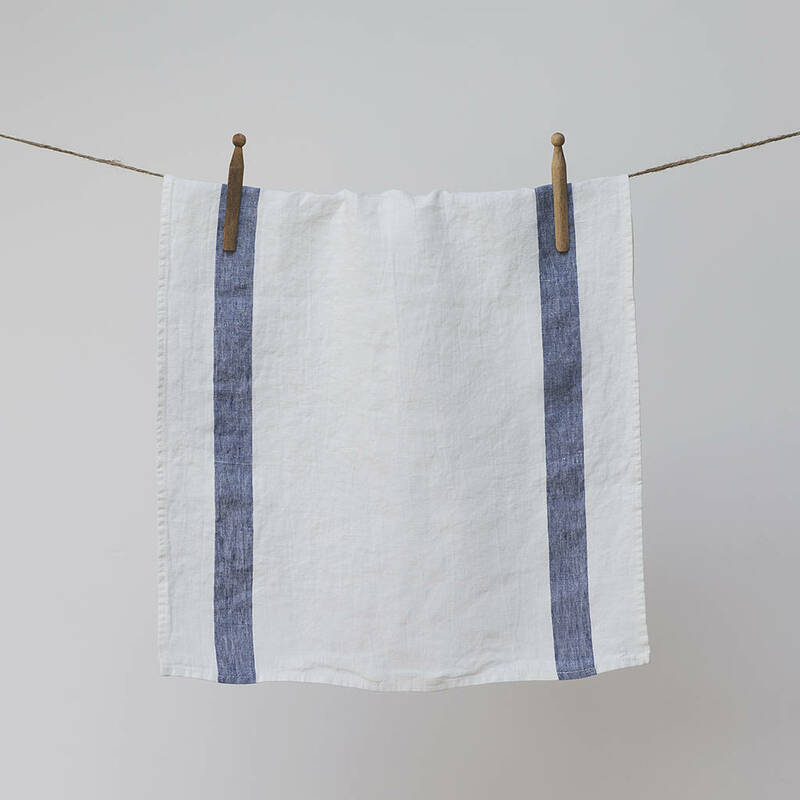 A contemporary take on a classic French design, these linen tea towels are great for any kitchen. A fabulous housewarming gift or essential must-have for the kitchen. Our French stripe linen looks stylish and can happily match any kitchen interior. 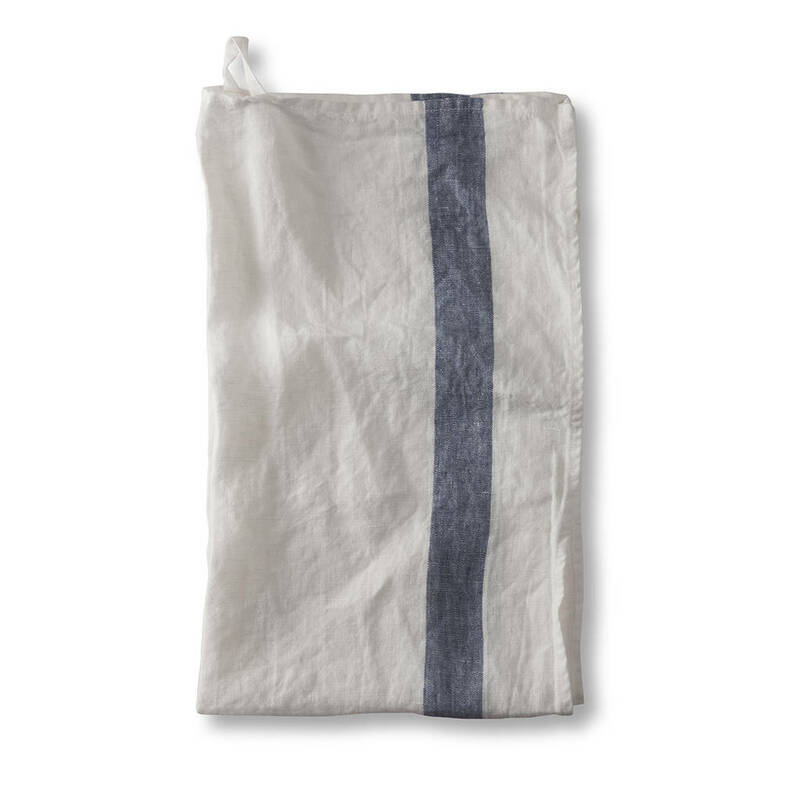 Linen is an ingenious natural material, which is made up of hollow fibres that make it incredibly absorbent. It also is lint-free so there'll be no fluff on your glasses! 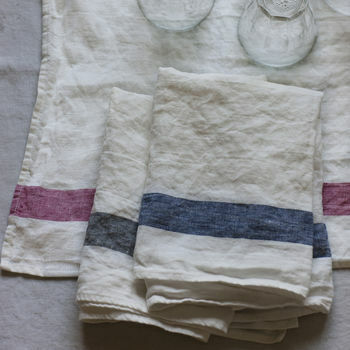 Unlike cotton, linen is 30% stronger and can last decades whereas cotton tends to show signs of wear after a few years. 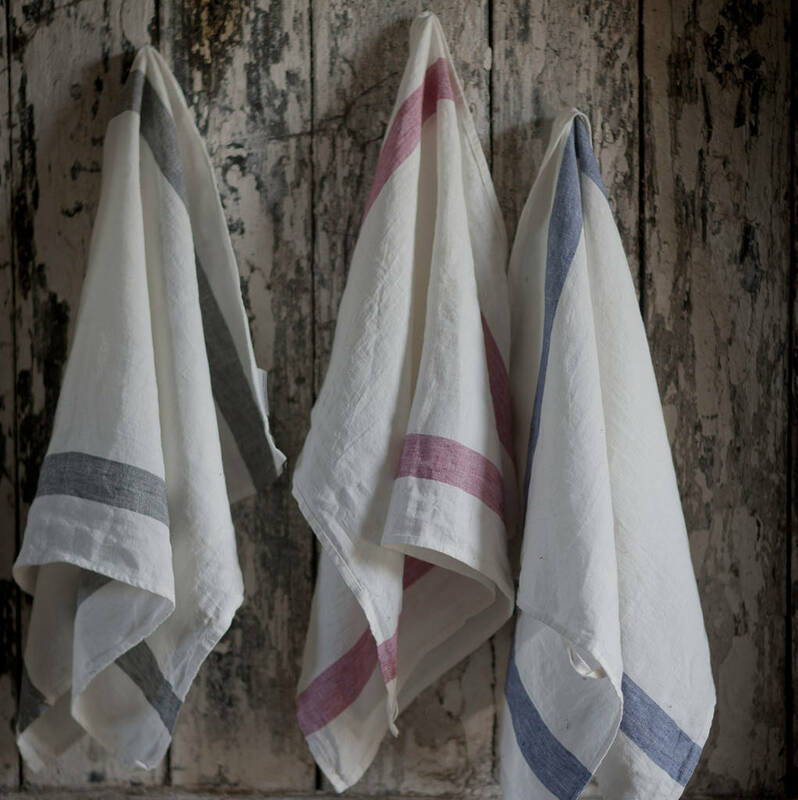 Our Tea Towels are equally useful in the kitchen or bathroom. Each towel has a hook for hanging. Available also in Charcoal and Raspberry Stripe. We also offer Gift Wrap Service for an additional £5. Your order will arrive neatly wrapped in tissue inside our Signature Gift Box and finished with a ribbon. The Gift Box is of exceptional quality and can store your linens for years to come.